This post is sponsored by Brothers Complete. I am being compensated for helping spread the word about Brothers Complete pet food, but Rubicon Days only shares information we feel is relevant to our readers. Brothers Complete is not responsible for the content of this post. We were able to try the full range of Brothers Complete products and I was very impressed. They are a small family-run company who obviously love dogs and are dedicated to superior dog nutrition. 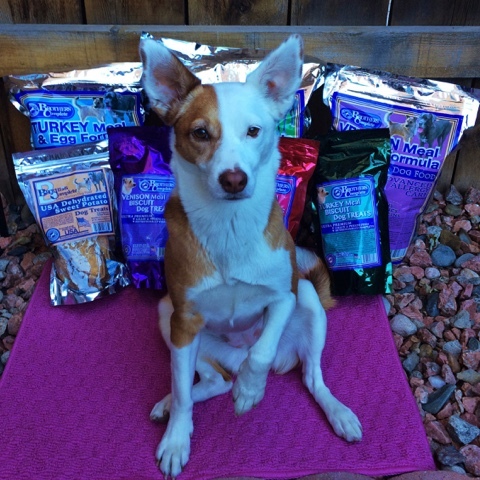 The dog food is produced in smaller batches and stored in cooler temperatures before it is shipped and contains four natural preservatives. Their extremely shiny bags are designed to maintain freshness. 90% of the protein is derived from human-grade animal sources, including Having read the book Dog Food Logic, I feel more comfortable interpreting ingredient panels. The first three ingredients of the Brothers Complete formulas are named meat meals and whole eggs. They use tapioca starch instead of grains or potatoes, which has a low glycemic index and pre-biotic properties. One of the first things I do when examining a potential new food for our rotation is check their rating on Dog Food Advisor, which gives Brothers Complete their highest rating of five stars. 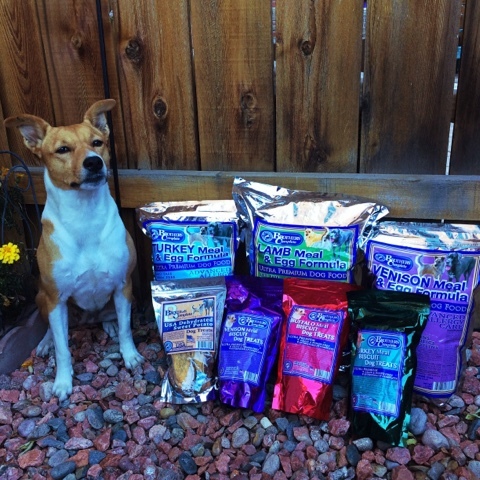 The foods are formulated to address allergy issues through a multi-faceted approach: healing, balancing and maintaining gut health and were developed with the knowledge and observations made over years of running a dog food store. Something unique about Brothers Complete as a kibble company is that they are in support of a raw food diet, but recognize that it isn't for everyone. My girls do not have any food allergies and I hope that I am helping to keep it that way by feeding them a variety of proteins. If they are eating a poultry-based food for breakfast I try to ensure that they are eating a red meat or fish protein at dinnertime. They have been eating the Brothers Complete Venison formula for almost a month now, and have been as excited about their kibble meals as their pre-made frozen raw meals. (I even used it as treats for their photo sessions!) They absolutely love the wonderfully crunchy meat-based dog biscuits, which they receive at bedtime. 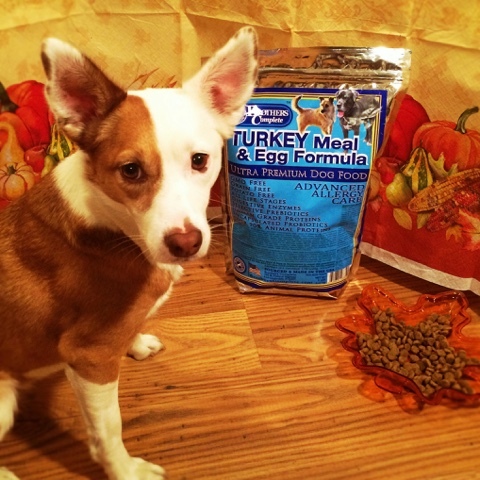 With Thanksgiving approaching I think they will enjoy the turkey formula next. I feel great about offering Ruby and Boca a variety of proteins. At this time of year when we are indulging in a cornucopia of culinary options, it seems only right that my dogs have diversity in their diet. 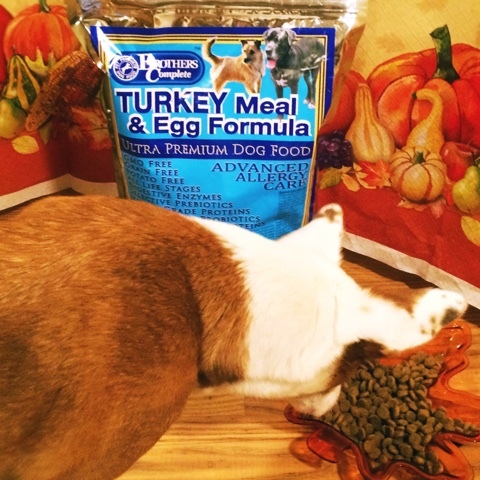 They have no problem switching between brands and formulas, but if your dog isn't accustomed to rotation, please transition slowly to any newly introduced foods. Here is an informative video about the benefits of protein rotation and how it is linked to allergy prevention. Brothers Complete was can be purchased through Amazon and directly from the company's website. 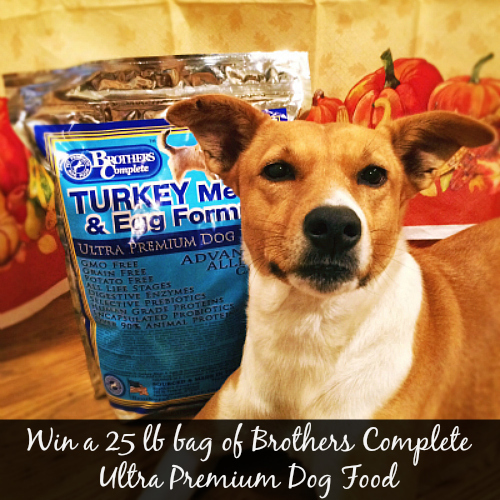 Brothers Complete is offering a 25 lb. bag of dog food of winner's choice and a biscuit variety for three lucky people in our giveaway. Entrants must be U.S. residents and respond to winners' notification email within 72 hours. Good luck and Happy Thanksgiving! The girls absolutely loved the Brother's Complete that we got to try! Right now they are actually eating their Chicken Formula! :D We rotate proteins every month! That's so great that your girls don't have food allergies. I wish I would have known about a rotation diet when Rodrigo and Sydney were younger. I didn't know that I could do it; I had never heard of it - or heard of protein allergies - until I became a blogger. I've heard great things about Brother's Complete and have a jar of their diatomaceous earth at home. I use it as a detox and natural dewormer. It's great for me too (although I don't have worms, at least I don't think I do). Nala gets a rotation of protiens and I try to get something exotic every once in a while. I haven't tried Brothers Complete yet but its in my list because I try to avoid white potatoes in Nala's food because of her allergies which isn't the easiest because so many foods have potatoes. I didn't use to, but lately I have been switching between 3-4 types in the dry food I buy. Yes I do. 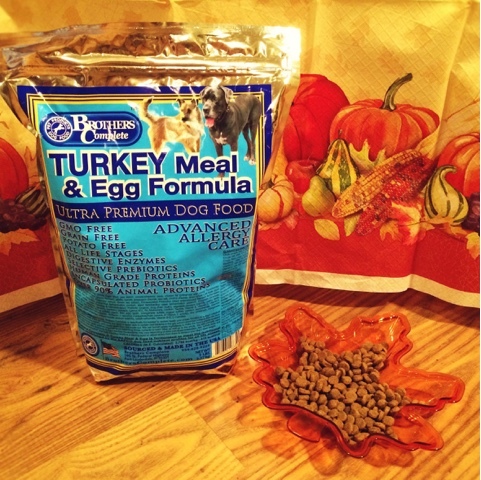 I figure I would get tired of eating the same thing day after day so I rotate protein for my dogs! I try to feed as much variety as possible. When I feed raw, I try to vary the protein and the type of muscle (chicken thighs, beef hearts, etc). I also feed kibble about half the time right now, out of a Kong Wobbler normally to give her some activity and a game to play. I try to feed a rotation of beef, lamb, and chicken, since those are the proteins I can easily find without breaking the bank. I love to feed some more exotic proteins when I'm able to. We don't specifically rotate proteins, but we do try to introduce a lot of variety. I try to do a rotation diet. My dog really likes Brothers food! We don't make a point to rotate, but do buy lots of variety in flavors. I have bought Brothers before and my dog enjoyed it a lot. I do try to rotate protein when possible. I usually don't, but I think it's a great idea. We try to rotate proteins! I sometimes rotate proteins for my dog. We sometimes rotate, but not all the time. You inspired me to get Harper on a rotation diet once her last bag ran out (I'd been feeding Merrick and switching proteins, but once they were purchased by Purina I decided to change). We're now on THK for dinners and have done Fromm and Acana so far in the mornings. I'd be excited to see what this could offer as well! That's awesome, Kelsey! We like THK and Fromm a lot, too. Yes I do rotate. Seems boring to have the same thing every day. yes, sometimes they will get sardines in water, venison, rabbit, depends on what i can find and put on top of their kibble. they also get peas, carrots, steamed kale and mustard greens, goats milk, and plain greek yogurt. We hadn't before, but have started. My mom's dogs developed allergies to their food and their vet recommended changing up the proteins, so they changed it up and her pups have stopped itching and chewing! I received the dog food, thank you very much!